National Hockey League (NHL) officials are not going to change their minds about refusing to send players to next year’s Winter Olympics Games in Pyeongchang, according to its Commissioner Gary Bettman. The world’s leading league last month issued a statement claiming their players would not travel to South Korea for Pyeongchang 2018.
International Ice Hockey Federation (IIHF) President René Fasel said earlier this month that a final decision on whether players will take part must be made by mid-July at the absolute latest. He also revealed that he was still negotiating with both the NHL and the International Olympic Committee (IOC) in an attempt to broker a deal. But Bettman said reports that the NHL might reconsider are untrue and reinforced this by confirming Tampa in Florida as the host city of its 2018 All-Star weekend on January 27 and 28. The All-Star weekend will be the first to be held in an Olympic year since 2002, when Salt Lake City staged the Games. “Six weeks ago we were very clear and definitive that the teams had no interest in going to the Olympics in Pyeongchang,” Bettman said. “And I know there have been a variety of comments either from René Fasel of the International Ice Hockey Federation or from representatives of the Players’ Association, suggesting that this was still an open issue. “It is not, and it has not been. IOC President Thomas Bach’s refusal to continue covering travel and insurance costs of NHL players has been blamed for the failure to reach a deal. The IOC had paid these costs since NHL players first appeared at Nagano 1998. Russia and Washington Capitals star Alex Ovechkin is among the top players who have threatened to defy the NHL and take part at Pyeongchang 2018. Fasel recently criticized Bettman for making “unrealistic” demands. 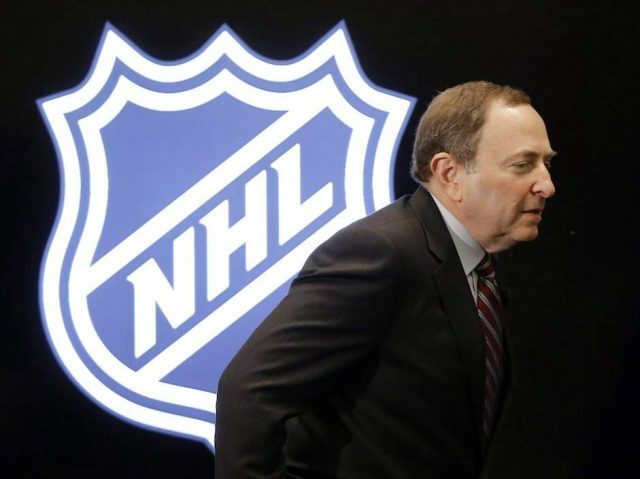 “He [Bettman] claims the same rights for the NHL as a TOP (The Olympic Program) sponsor who pays $100 million,” he told German newspaper Kölner Stadt-Anzeiger . “He wants to use the Olympic Rings for the NHL. “If the IOC says yes, what do we do with athletics, swimming, gymnastics, skiing, ice skating? “Then we would have to grant these rights to all the big sports federations. Bettman claimed the NHL’s participation at the 2022 Winter Olympics in Beijing had not been discussed with officials during a recent trip to China. He claimed they were more concerned about receiving help from the NHL with their aim to increase the country’s participation in winter sports. The NHL is planning to play two exhibition games in China in September, when the Los Angeles Kings and Vancouver Canucks will travel to Shanghai and Beijing respectively. In return, China intends to aid the NHL’s focus on growing its business in the country.